A Jawbreaker on a stick? Yes Espeez new Paintball Pops are here! It's a Jawbreaker lollipop now with no messy hands! 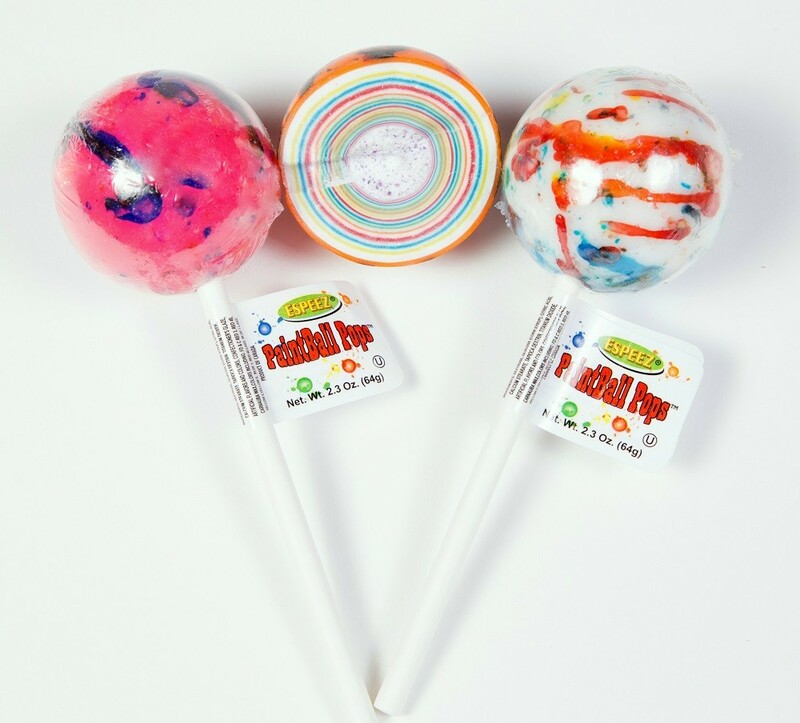 This nostalgic classic jawbreaker, coated in crazy colors that paint your tongue is now even more fun as a lollipop! What could be more fun than a jawbreaker? What if we took away the messy hands and made your tongue funny colors? How about taking the nostalgic classic jawbreaker--coating it in crazy colors and putting it on a stick? Now that would be even more fun! 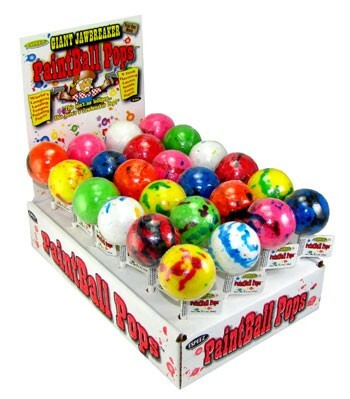 Espeez new Paintball Pops are driving the kids of today crazy---just like the original jawbreaker did when we were kids. 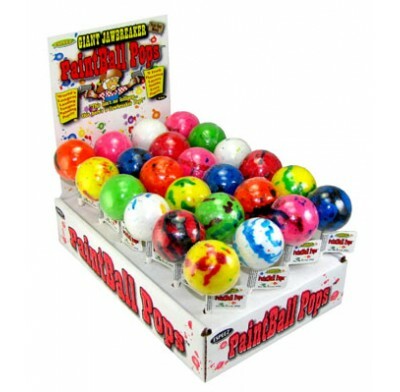 Paintball Pops are in eye popping colors that have splatters of different colors mixed in. 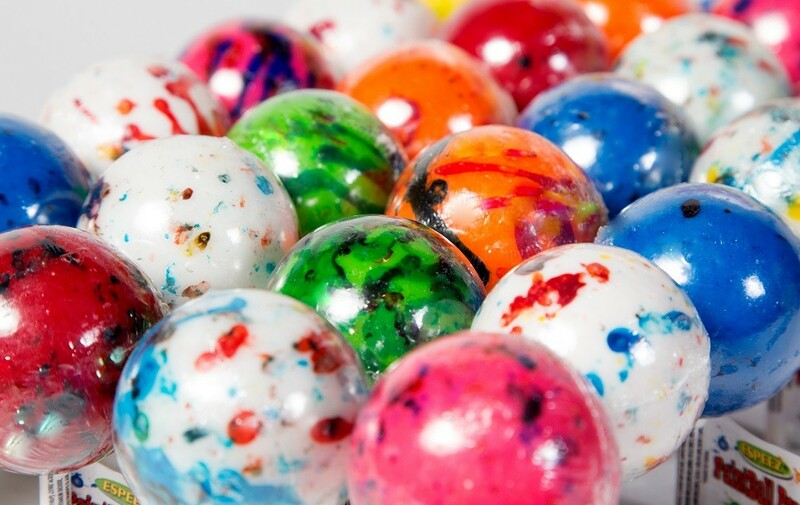 So, if you pick a red Paintball Pop with blue and yellow splatters, your tongue will turn all those crazy colors!